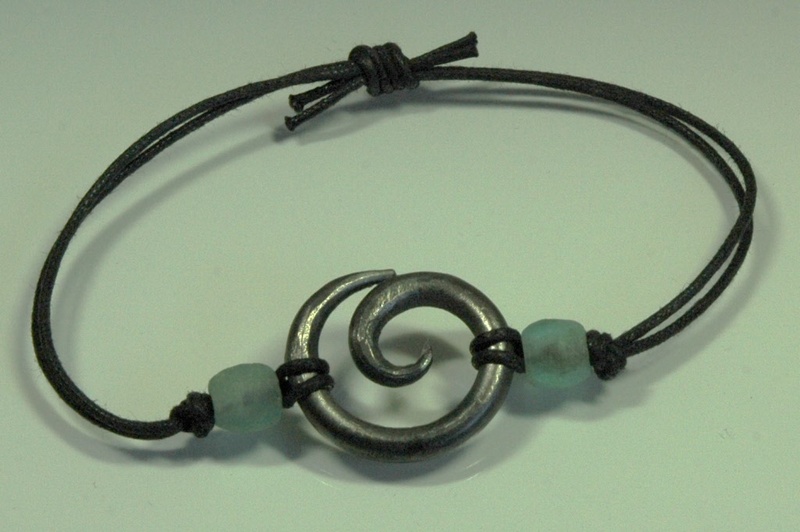 This forged steel spiral bracelet makes a wonderful gift for everyone! Handsome for men or boys and a fun piece for ladies or teenage girls. Spiral is strung on an adjustable black cotton cord with glass bead accents. One size fits most. If you have a large wrist we can accommodate you. Please specify at check out under special instructions. Beads are crafted in Ghana, Africa out of recycled glass and therefore colors will vary.